It's time for True Football Manager story! Today I'm ready to share, first and foremost, my summer transfers, renewed squad pages and first season results including our debut in Europa League. Hope you'll enjoy it! I decided not to change Crystal Palace squad much this time. 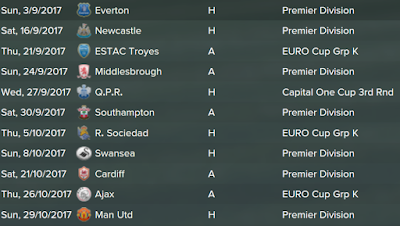 The modest transfer campaign was caused by my wish to avoid many squad blending problems while having tighter schedule due to Europa League matches. 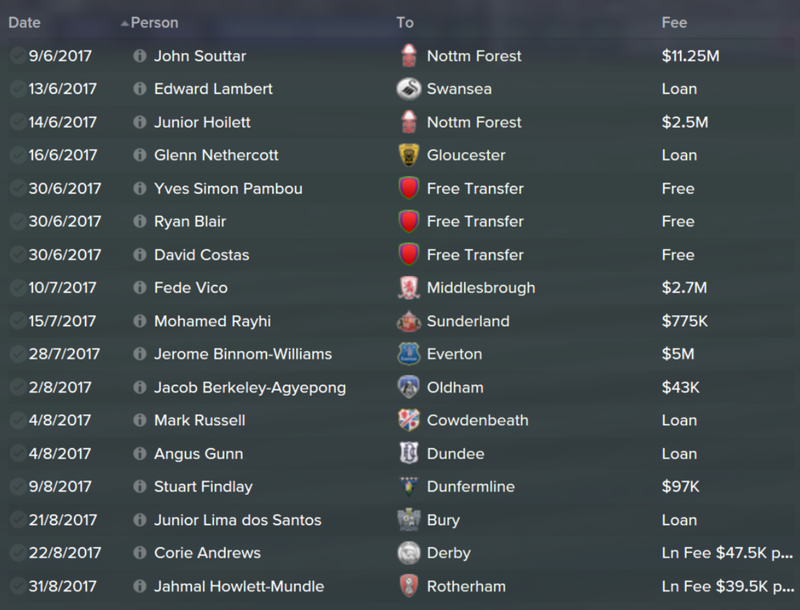 Therefore I just bought a couple of players and brought several names from U21 team to the first squad. Fede Vico, Junior Hoilett, Jerome Binnom-Williams were sold since they had no chance to have enough first match experience. You see some decent money was transferred to a club account for them. Loss of John Souttar - well I complained about that in the last blog update. I just had to find a good replacement for him. 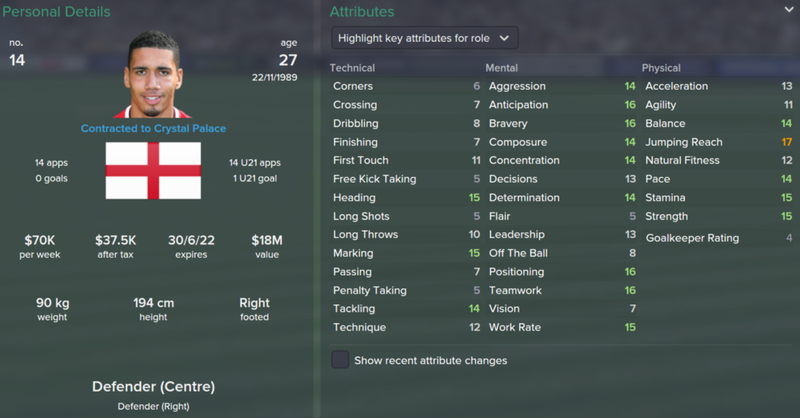 Just three names: 2 big ones and 1 regen. 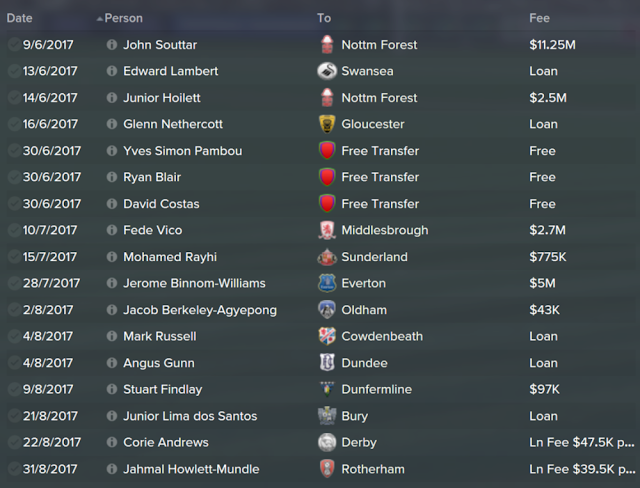 That's why I called it the modest transfer campaign. OK, it's time to take a look at the newcomers. As you understand Smalling is the one to replace Souttar. More experienced footballer of course and actually he's the best centre back in Crystal Palace now. That's why I paid $13M to get him. Chris Smalling's career way went down: he had no first match experience in Man United and was sold to Wigan in the second season. However, Wigan relegated from the Premier League and it was an excellent chance for me to react. I like this centre back having additional lyrical recollections about him as Nottm Forest player in my brilliant FM 2013 story. I also would like to single out his ability to play both feet which is rarely met among defenders. The Russian playmaker came to make our midfield more creative and smart. Dzagoev has strong mental and technical skills crucial for playmakers of his type. Surely he somewhat lacks physics but I don't think it will hinder much. 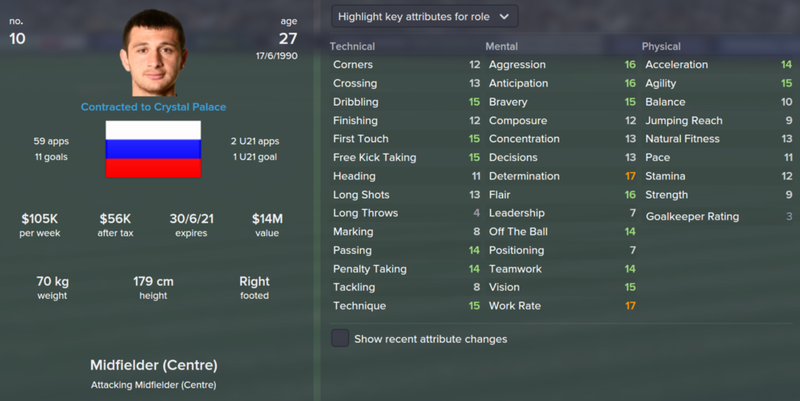 I bought Dzagoev from Man City for just $9M while Man City acquired him from CSKA Moscow for $31M before season 2. Dzagoev possesses both feet and prefers trying killer balls often. High prospect for the future. This Spanish promising defensive player will go on loan for a while. But I hope to see him in the first team in a couple of years. 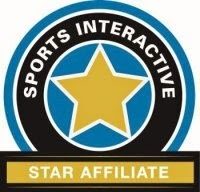 Their profiles can be found on the squad pages, see it at the right sidebar. $155M spent for players! It seems Arsenal have plans to win PL title this season. 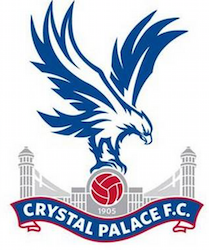 The Eagles are more significant in the Premier League this season. Despite finishing at the 6th position, they don't believe in our further success. Media prediction is the 9th as well. At the same time I was pretty careful and claimed top-half finish season expectations. 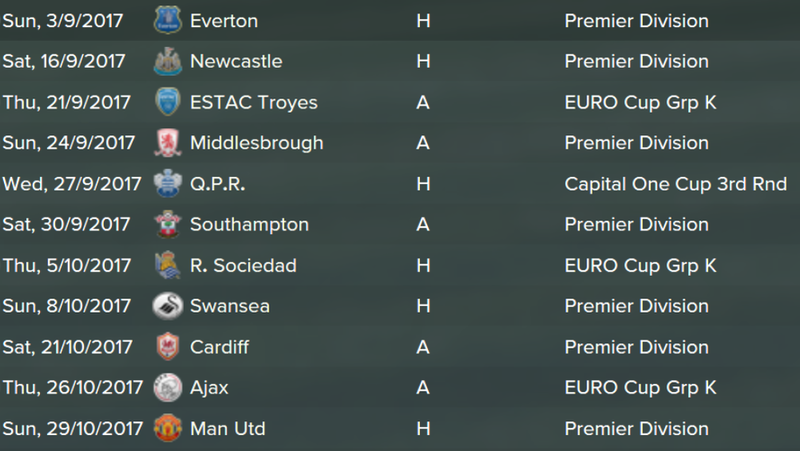 Season beginning was seriously complicated due to starting PL matches against grand clubs Arsenal and Chelsea. You see we managed to survive. Arsenal was too strong for us but I'm pretty happy about the draw against Chelsea. They usually beat Palace in a quite easy manner but not this time. Just for you information: newbie Alan Dzagoev scores his first goal for The Eagles from direct free kick. That's all for now. See you next Sunday. Feel free to leave your comments below.